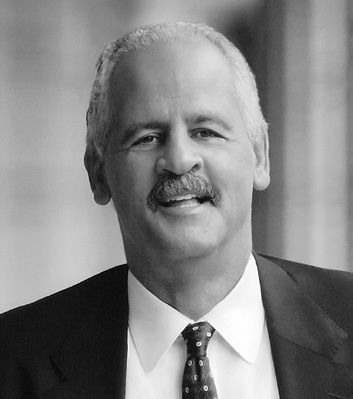 San Jose, Calif. – Stedman Graham, a New York Times bestselling author and world-renowned speaker on Identity Leadership, will deliver the keynote address at the April 22nd Northern California Commencement Ceremony for National University, which is among the largest private, nonprofit universities in California. A widely-regarded speaker in the field of Identity Leadership, Graham’s message is grounded in the fact that they key to success is self-leadership capability. He has authored 11 books, including two New York Times bestsellers, and as chairman and CEO of S. Graham & Associates, Graham teaches the process of becoming a more effective leader to audiences around the world. A veteran of the United States Army, he specializes in sectors such as education, military and nonprofits. Serving as a presidential faculty appointee at National University, Graham taught Identity Leadership at military bases all over the country, including bases where National University offers its programs. Earning a bachelor’s degree in social work from Hardin-Simmons University and a master’s degree in education from Ball State University, Graham’s commitment to education and lifelong learning aligns with National University’s founding mission to provide quality, accessible education to a diverse population of adult learners such as working parents, educators and the military community. About a quarter of National University students are active duty or have previously served in the military, and the University’s Veteran Center is dedicated to supporting these students in their transition to campus and civilian life. Commitment to community development and mentorship is central to Graham’s philosophy. He is the founder of several youth mentorship programs such as the Concerned Citizens of Whitesboro, Graham’s hometown, and is co-founder of The Community Alliance for Youth Success. Graham speaks and teaches from experience, having served in the United States Army and expands his positive impact on communities by supporting education programs for active military, veterans and their families. The 2018 National University Northern California Commencement Ceremony is scheduled to begin at 1 p.m. on Sunday, April 22 at the San Jose Convention Center. It will be presided over by Dr. David Andrews, National University President and Dr. Michael R. Cunningham, Chancellor of the National University System. More than 600 graduates will attend the ceremony, which recognizes a diverse student population and includes students completing their degree programs online and at the University’s Northern California campuses. National University’s Southern California Commencement Ceremony is set for May 19 at San Diego’s Petco Park.